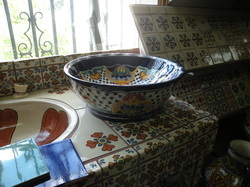 We carry a large selection of Mexican Talavera sinks. 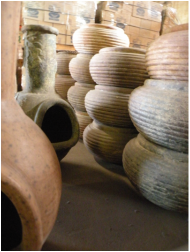 Stop by and browse our complete line in the showroom. These stylish Mexican Tile sinks are truly beautiful additions to any home - whether you're looking to punch up the interior of a guest bathroom or add an authentic touch to a Mexican style home. 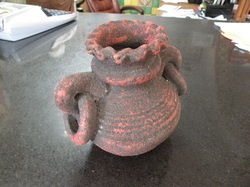 We carry a wide assortment of Mexican clay pottery - all styles, colors and looks. And if we don't have something you're looking for, tell us what it is and we'll see if we can find it for you. 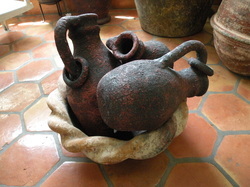 Whether you're looking to spruce up an outdoor garden or living space or want an accent piece for an interior room, Mexican pottery can be a real show stopper! 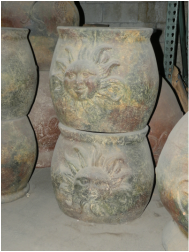 We have a huge collection of Mexican clay pottery ranging from plain, antiqued clay to highly decorative Talavera pottery!